Stroller for six kids?! If you’ve got a large family this is a great buy, though it may be a little too bulky and heavy for a family of just three. It provides plenty of room for everyone and your kids won’t outgrow it anytime soon, so it’s a perfect fit for large families as well as daycare providers who have the space for it in their house. We will focus in this post on the LX4 model from Foundations. The Foundations 6 Passenger Stroller, LX6 is one of the few strollers we’ve seen that supports children up to 50 lbs (in comparison to triple strollers) in each seat, and it’s impressive that it can do this for all six seats. 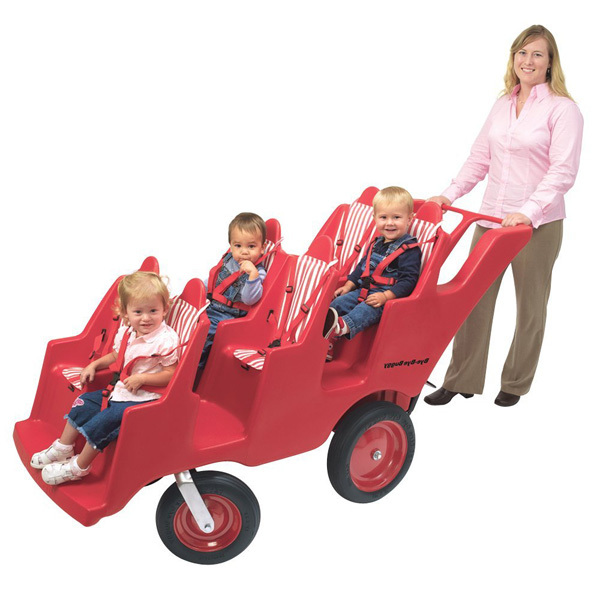 This behemoth is a long, long stroller but it’s not too wide that you’ll be prohibited from getting through most doorways – given that there’s enough length clearance and no sharp and immediate turns. This isn’t the best option for a set of three kids, but if you’re thinking about growing the family or if you have a lot of nieces, nephews or playdates, it can be just the trick. Weight Limit Per Seat: 50 lbs. To accommodate the size and weight of everyone, the stroller has been double-walled and has an extra heavy-duty steel frame. The company claims that it also has the “largest wheels in the industry to provide the ultimate in maneuverability” and users seem to appreciate the wheels ability to hold up, but note that it isn’t very agile because of the sheer size. With everyone in tow, you’re looking at a stroller that easily weighs 250 lbs. to upwards of 350 lbs. when fully loaded. 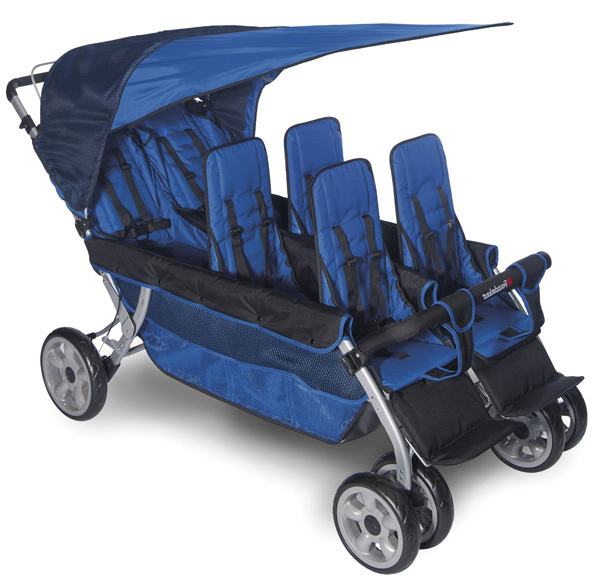 This is a stroller to get if you can take your time and you aren’t pushing up-hill that often. It has a full canopy included to protect children from UV rays and inclement weather, though the children at the back will get a bit more protection. The one issue that’s unclear is how well kids in the back can see out of the stroller. The seats don’t provide much, if any, height differential so views forward will be obscured. 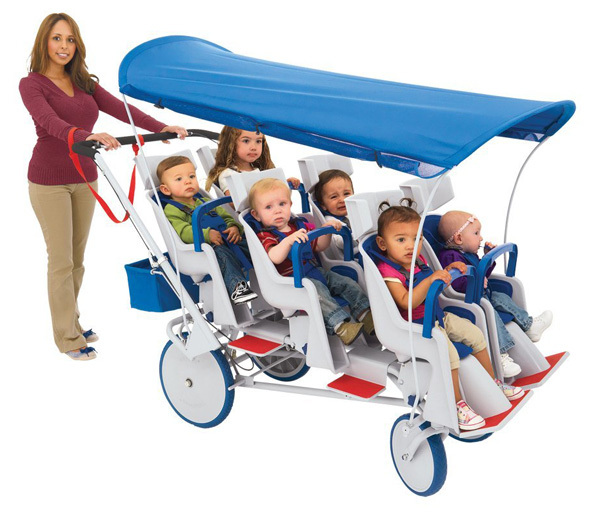 You’d want to put the larger kids in back to counteract this, but the canopy is shortest in the back so this may cause a usability concern for tall children. Once nice addition to this model is that the brake system disengages when the stroller is moving forward, so you won’t have to grip hard at all when you’re walking with it. The brake is still smart enough to detect a runaway, so there’s no risk from a runaway. The Foundations 6 Passenger Stroller, LX6 seems to have no specific accessories for its design. It’s also unlikely that shades and covers from other vendors will fit it because of the length. Like with most of Foundations other strollers, users say they’ve needed to purchase their own storage for small items like keys and cups. People also bought mesh bags if they needed more storage to access things while they’re pushing the stroller, since feet either get in the way or having too much down below can make the little fit uncomfortable. This stroller is a great option for a child care service, but probably not the best for a small family. Since we’re typically looking at strollers for three children, you’re not likely going to need the size of this item. 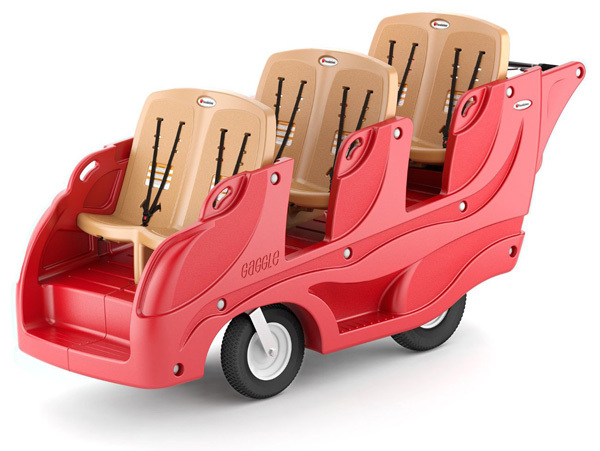 However, if you have the need for all six seats, it’s very sturdy and will stand up to any punishment the kids can deliver. 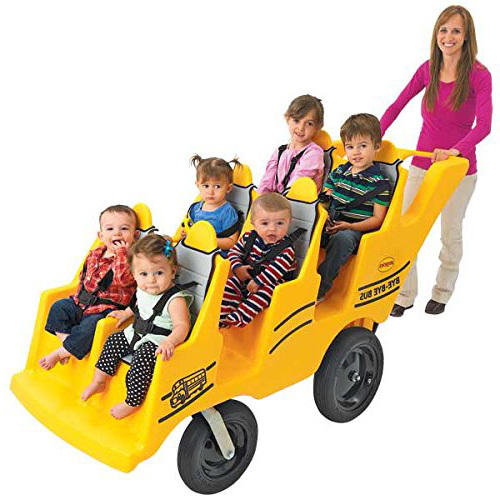 The wheels are super strong as is its frame, so you’ve found the right fit for bringing large groups of kids around the neighborhood. Has trouble with some doorways because of the double-wheels up front. What warranty comes with the stroller? Foundations provides a limited one-year warranty and requires that you properly assemble and use the stroller. 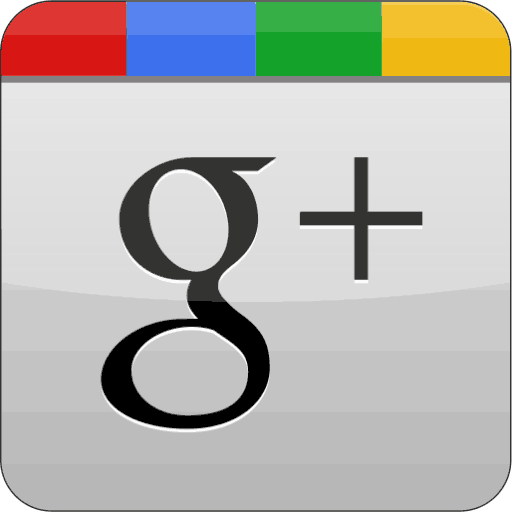 The warranty doesn’t cover scratches, dents or cosmetic damage. The warranty information provided by Foundations is relatively vague and some customers have said they were charger a significant restocking fee when seeking a refund. Do the seats recline fully? No, they don’t go back enough to be flat for an infant. Do car seats work with the stroller? No. The stroller does not appear to support any car seat or infant seat. Do the sun shades come off? Yes. The canopy on this model is a clip so it can come off very easily. Do the brakes cause problems? This model seems to have a sensitive brake and assembly has been hard for some users. How does it handle the cold? The stroller has been fine for many on ice, though few have gone through a heavy snow. Treat it like a shopping cart and you’ll do fine. Is it made for running? 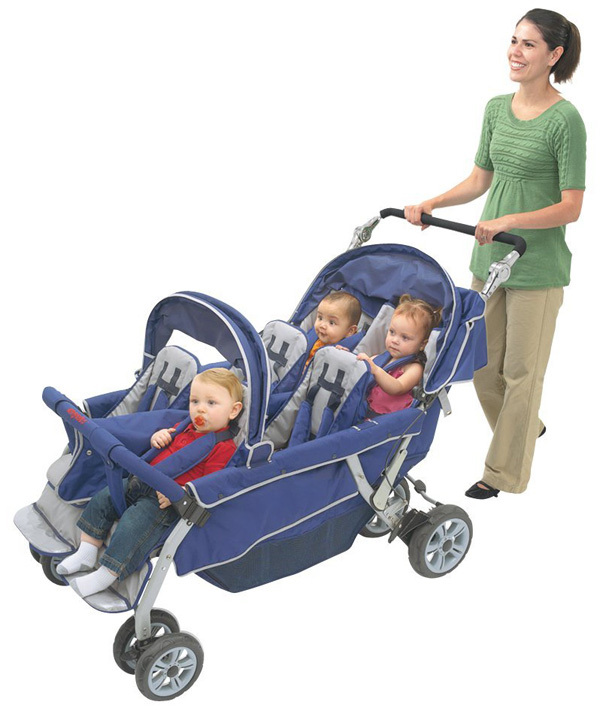 This is not a jogging stroller, but it does perform well for walking around the neighborhood or mall. It is fully collapsible but its weight makes it somewhat difficult to use. Is there a major difference between the older model and the LX? Nothing significant. The prior model is generally unavailable though some Internet stores still sell it. The cost difference is negligible. Foundations is mostly a crib maker and produces products for hotels and homes. The company touts its services for major hotel chains and other high-use environments. Children are our most valuable citizens, and therefore, must be cherished. The proper development of our children is the solution to society’s challenges. It is everyone’s responsibility to contribute to the well-being and development of our children. Children in our care must always be our highest priority. The resources needed to care for children should be accessible to all. 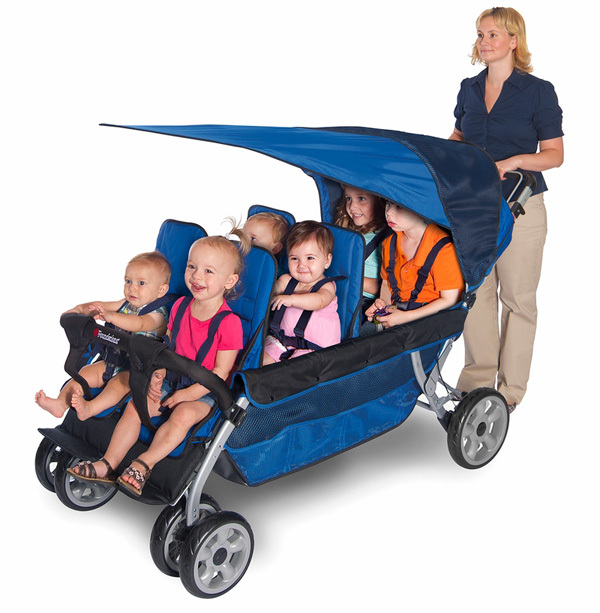 This is a great stroller if you need to fit 5 or 6 children into your daily routine. Otherwise, the weight and size make it a bit too much of a burden not to choose a smaller model. It’s a very good stroller and you really won’t see much in terms of limitations or downsides. 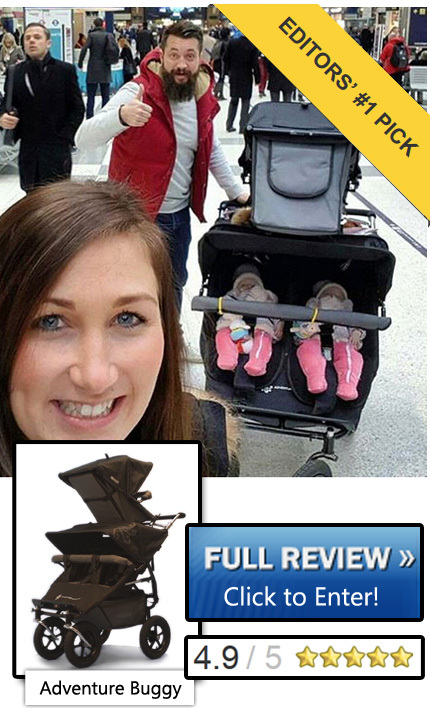 It gets high marks for being a good stroller but we’ll end up ranking it a little low for this review simply because it’s too much to handle for someone just seeking a three-child stroller.